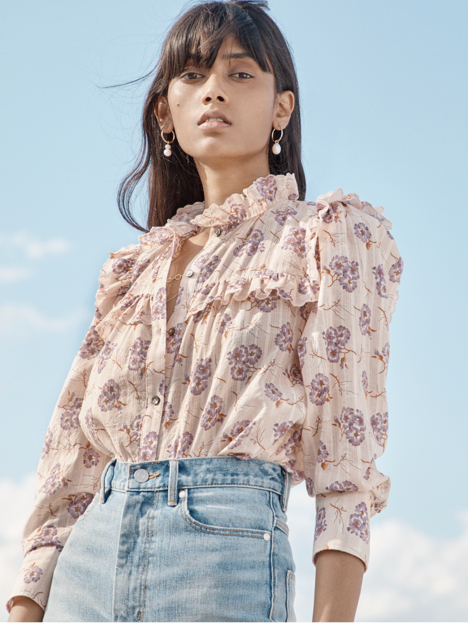 Intricately embroidered florals enhance the romantic silhouette of this long-sleeve top. Intricately embroidered florals enhance the romantic silhouette of this long-sleeve top. Its lightweight fabric and sheer sleeves are cut in a contemporary square-neck silhouette that pairs well with skirts or jeans.